So get busy! Use those vouchers and get a great book for your children NOW! The announcement of the winners for the oldest and most prestigious award in children's literature was made today at the Bologna Children's Book Fair. 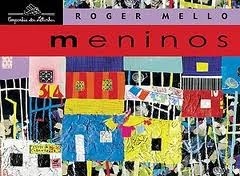 Japanese author Nahoko Uehashi and Brazilian illustrator Roger Mello are the recipient of the 2014 Hans Christian Andersen Awards. 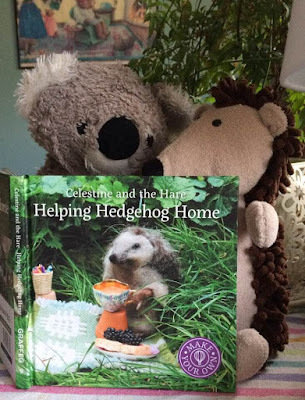 Many, many congratulations to these two outstanding contributors to the world of children's literature. The winners will receive their awards at the 34th IBBY Conference to be held this September in Mexico City. I've just found two very important bits of news on two of (my very favourite) most beloved picture books... well one picture book and one picture book author. 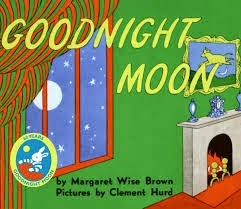 First of all, Margaret Wise Brown, the author of the wonderful, classic Goodnight Moon, passed away in 1952. Sterling Books in the United States is now preparing to publish Goodnight Songs, a collection of 12 previously unpublished lullaby poems by Brown. These were discovered in a trunk in her sisters' barn. These poems will be illustrated by 12 different artists! The poems were written while Brown was on a tour in France during the last year of her life. She had been under contract at the time to create songs for a new childrens' record label. "Brown's intent was to capture the spirit of a child's world in her songs as she had done with her stories … the simple rhymes have Brown's trademark charm," said the book review magazine. "Children will enjoy the whimsical scenes, and adult mavens of children's literature will appreciate and delight in the background of the discovery." Didn't I say all the awards lists were coming in now? Certainly not to be outdone by all the others is the CBI Book of the Year Awards. Now in it's 24th year, the CBI Book of the Year Awards are given annually to authors and illustrators born or resident in Ireland. The recognise. honour and promote excellence in books for children and young adults in Ireland. These awards are open to books written in English or Irish. The winners will be announced in an awards ceremony held on Tuesday, May 13th. The shortlists for awards in childrens' literature are now arriving en mass! 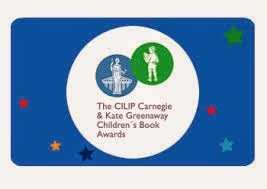 Yesterday, the announcement was made for the CILIP Carnegie and Kate Greenaway Medals. 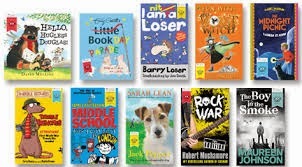 These are the oldest childrens' book awards in the UK. Whoever receives these honours will join the ranks of such lauded authors and illustrators as CS Lewis, Arthur Ransome, Noel Streatfeild, Phillippa Pearce and in more recent awards, Patrick Ness, Siobhan Dowd and Sally Gardner. The winners will be announced on Monday, June 23rd. From the 58 candidates selected from the 33 national sections of IBBY, the shortlist for the Hans Christian Andersen Award 2014 have been selected! Six authors and six illustrators will now be considered for the most prestigious international award in children's literature. 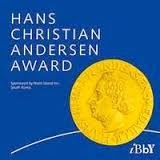 Launched in 1958, the Hans Christian Andersen Award is given biennially bi the International Board on Books for Young People to both an author and an illustrator whose work in the field of childrens' literature has made a lasting contribution. To be honest, even to make it on to the longlist is a huge honour, given the sheer number of exceptional childrens' authors/illustrators working today. The award will be announced on Monday, March 24th at the Bologna Book Fair. A ten member, multi-national panel from IBBY now have the difficult task of reviewing the selected author/illustrators works and making their selection. The best of luck to all the worthy candidates. I anxiously await their selection! 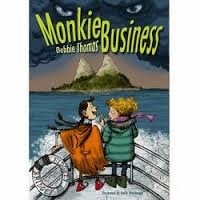 So after a full week of delight and madness (World Book Day events), it was off to Dublin for the launch of yet another fab childrens' book by Debbie Thomas.... Monkie Business (the third book in the Abbie and Perdita series. Debbie invited me up to say a few words about the wonderful characters she has created for these books, and it was a complete pleasure. I felt a bit disjointed, as I had left my notes behind me. But it went well.... it was only a few words, after all and the main bit of the talking part was Debbies' reading, assisted by Captain Winkymalarkey himself (aka Debbies' wonderful husband Steve). Sporting a beard that would have made Philip Ardagh envious, he had taken time off from piloting the Fidgety Bridget to join in the festivities.....(you'll just have to read the book, then, won't you.) After the reading, there was a massive treasure hunt around the National Library. One lucky young lady won the Goblet of Dripping itself! (Again...you'll have to read the book.) A fantastic time was had by all as everyone tried their hands at pottery pendant making and the fine art of illuminated manuscripts. THAT was one brilliant day! Even Chester, a normally shy patch of chest hair turned up! Thank you, Debbie, Steve, Mercier Press and the National Library for a wonderful event! Well, as they say, it's all over but the shouting. And what a fantastic day the last day of the annual World Book Day events at Dubray Books Galway branch was! It started with me reading to the 4th, 5th and 6th classes from Scoil an Linbh Iosa (Mercy Primary School)... a large group, but very attentive and interested. I was very pleased, because they offered me their time and their focus, and I hope I gave them something they will remember. Then, the amazing Nicola Pierce took time from her manic weeks' schedule to come to Galway and talk to the final 2 class groups about her new book, City of Fate.... just as beautiful and memorable as her previous Spirit of the Titanic, but a very different subject matter. This time, Nicola has given us an eloquent and well-researched fictional view of the battle of Stalingrad during World War II. All I can say is WOW! (Review coming shortly) The children were mesmerised and engaged. Nicola left them with loads to think about, wanting to learn more and completely in awe. A superb way to finish off the weeks events. I want to express unending gratitude to Maria Burke, Sadie Cramer, Patricia Forde, Paula Leyden and Nicola Pierce. You made the week! Also, my deepest thanks go to the schools, the teachers and the....are you ready for this?...... 627 school children who attended the World Book Day Extravaganza 2014. You will never know how much joy you give me each year. World Book Day/Week would mean nothing without you! It was a busy World Book Day for us! Today, we hosted a further 117 school children from Galway City schools, bringing the weekly total to 507 kids through the bookshop, enjoying the various author/illustrators, books, activities and each one choosing their own specially produced World Book Day Book. After reading to the Sr. Infants classes from Mercy Primary School myself (4 of my favourite pictures: The Snatchabook, Troll and the Oliver, Gigantosaurus and... of course...Where the Wild Things Are), three additional class groups had a real treat in store, when Paula Leyden (author of The Butterfly Heart and The Sleeping Baobab Tree) joined us to about her books, her writing, her life and many, many things African. The kids were all captivated by the incredible Paula... as were all of us. Thank you, Paula Leyden... magnificent as usual! As if all the excitement surrounding World Book Day weren't enough (and it probably isn't), the launch of Debbie Thomas' new book, Monkie Business (the third in the Abbie and Perdita series) is taking place this Saturday, March 8th! And you'll never guess..... I've been invited to help out with the launch. I must admit my nerves are a little shaky at the moment about this, but that's because I really want to do this book justice! Fingers cross I don't trip over... or something equally as embarrassing. The book is out now! Read it! You'll love it! 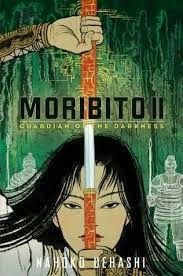 Funny, quirky and very adventurous... I just love the whole series... a pure delight! World Book Day... Absolutely Everyone Loves It! Also, I just wanted to share that, even our bookshop fairy, Milo-biblio, loves World Book Day. He even left us a note (acknowledging that we celebrate all week long!)! "I can't wait for World Book Week to start! Will there be children and stories?..." Yes, Milo... there have been and there will be even more. Today we had 148 children visit the shop. And every single one of them left with their own World Book Day book. I love this week!!!! Well, we're over half way through the World Book Day Extravaganza at Dubray Books Galway branch, and again, it was quite a day. I personally read to 3 class groups today, which I absolutely loved. I hope they all enjoyed it as much as I did! But the big news is that we wound up the day with a visit from one of our favourite people in the world, Patricia Forde. Trish entertained and enlightened a group from her old school, Scoil an Linbh Iosa...Mercy Primary School. She talked about how she decided to become a writer, what it takes to actually be a writer; she had the children tell some of their 'great escape artist' stories and read to them from one of her best books, Frogs Do Not Like Dragons. Thank you sooooo mmmmuuuch, Trish! As always, you were great. We were extremely busy on day 2 of the World Book Day Extravaganza. Today, we hosted a total of 117 school children... and the wonderful and creative Sadie Cramer. Sadie talked to the classes about making stories, what a story is, and she even had the kids standing up and telling some stories of their own. Oh, yes... and then there was the moment when a large paper was rolled out and the children all joined in drawing their own stories. A fantastic day was had by all! Claddagh School's 4th class thought it was brillaint! And, of course, no one left without one of the wonderful books from the special World Book Day book selection. All in all, a great day! Happy March! Happy World Book Day! It's the first week of March, and as we get ready to (finally) put winter to bed World Book Day is looming. It's time to celebrate books and reading just for the joy of it. For me, this is a very busy week! So I have to be brief... here it is.... five days, five authors (and me, of course) nineteen sessions of school children.....LET THE GAMES BEGIN! Watch this space for the upcoming photos and fun!